A Supply Chain Walk Through preceded the re-engineering of the supply chain for this market leading generics manufacturer. To drive the programme & engage the senior team, a strategy map was designed. 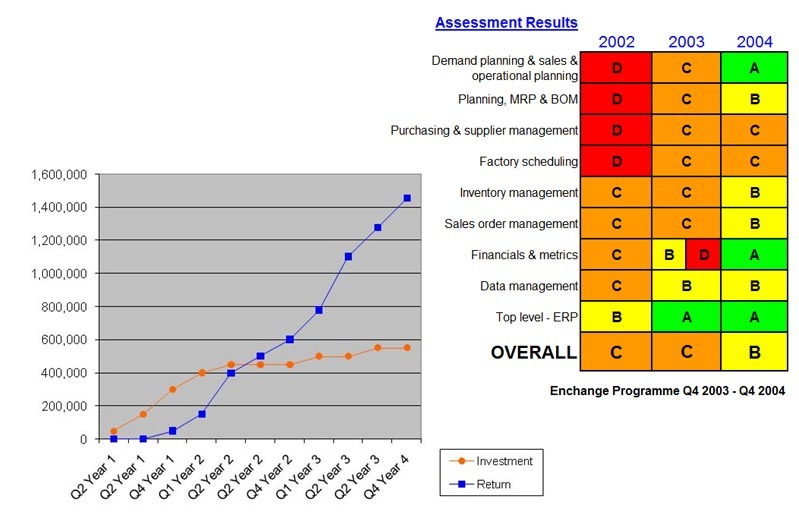 A Balanced Scorecard of KPIs was introduced to support the new strategy. A new S&OP process was the centre piece of the redesigned supply chain. Strategy Map aligned Board & Senior Management. Balanced Scorecard monitored performance & help drive culture of accountability. Supply chain integrated; performance improved; consensus decision making established. The final Project Review presented actual bottom line improvement as $1.25m p.a.